A romantic affair with nature…. How would you feel, if one day you find yourself in the Bollywood picturesque canvas of Yash chopra’s Romantic set of his famous movie Lamhe. Exactly you will be overwhelmed. Khimsar is also one of the dream destination of nature and peace lover wanderers who fall for less road traveled and non crowdy destination. This beautiful place is 90km far from Jodhpur and falls in the district Nagaur, when we travel towards Bikaner. 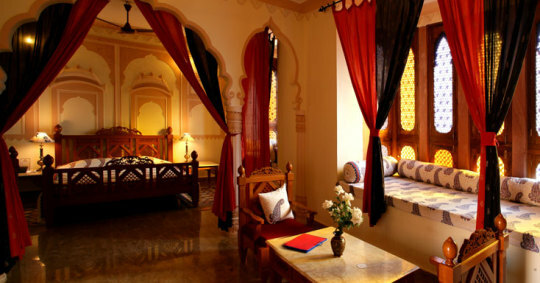 Khimsar is discovered by a known chain of hospitality “ITC”. 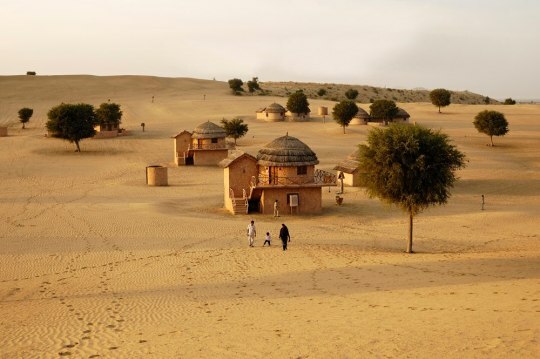 They found the initial dessert of Rajasthan and maintained it so well, that even true thar desert will not give you a feel. 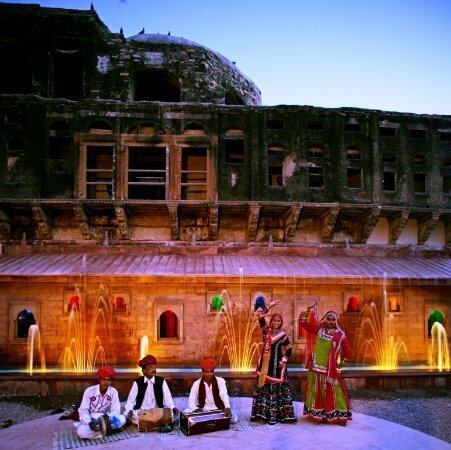 The place has a Huge and massive fort which was built by Rao Karamsji in 1523, the 8th son of Rao Jodha of Jodhpur. Now it maintained by the ITC hotels. The Fort has turned into majestic heritage hotel without changing its architecture. Not only they have kept the fort safely but also introduced some great authentic frescos to the place to enhance its beauty. 6km ahead into the village, here comes the most amazing part of ITC welcome Khimsar heritage fort and Sand dunes Village. While driving through the bushes and road less narrow paths of sand grains for the first time will question your mind… are we going to the right place and then suddenly you see a splendid view of dessert and you get all your answers. 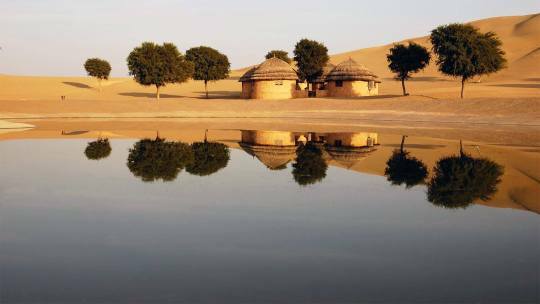 As soon as you will park the car, the camel rider is ready to take to your alluring Hut, which is actually a 5-star room with all the royal amenities. The camel ride till your hut will give a soothing view of the ITC property. 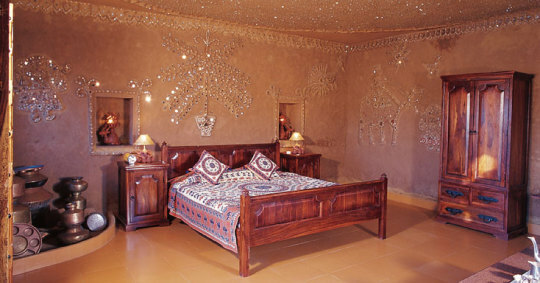 The interior of the hut is a pure ethnic mirror work of the Rajasthani village. In some ways it will give you a Kutch shed texture too. 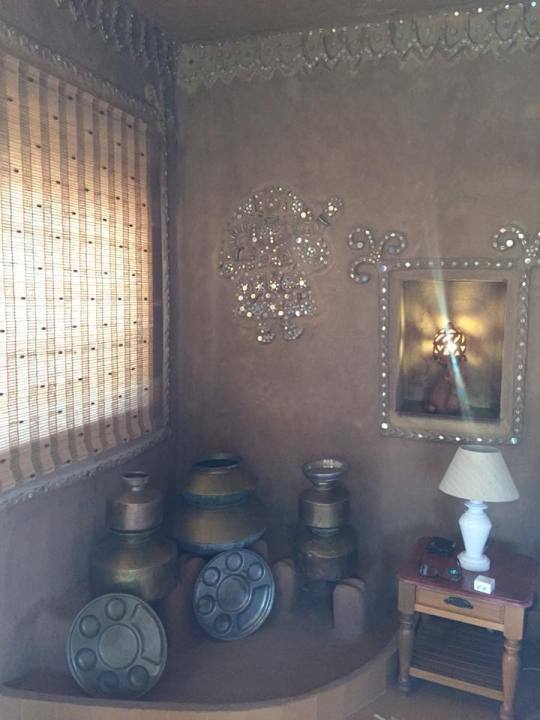 The rooms are also decorated with a sight of the miniature of an old-style Rajasthani kitchen which has mud chulhas, old big woks and vessels. The wood furniture and the rustic essence in the room is so nostalgic that you never want to come out of that place. 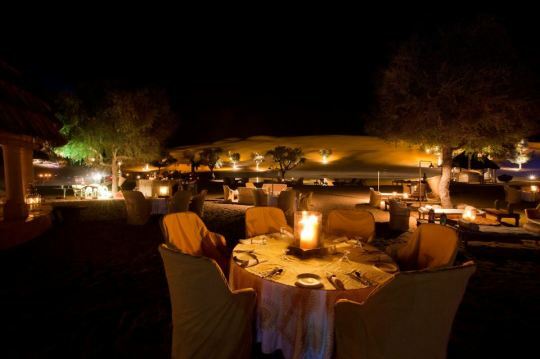 The property also has some sand-dune mountains for the experience of beautiful sunset and sunrise. Along with other amenities, the place has an Inter-continental restaurant and a decent Bar. The food is as good as the place with great and kind service. So This coming long weekend of Holi, Give it a try for a never experienced experience. And thank me later.